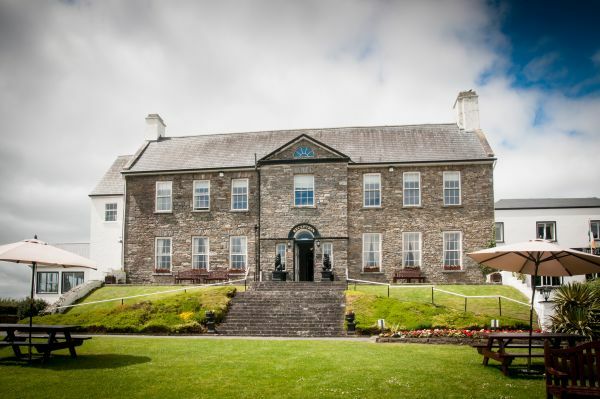 As one of the finest hotels in Clare, the Falls Hotel & Spa is nestled in a wooded vale beside the tumbling waters of the River Inagh in Ennistymon. The distinctive building known today as the Falls Hotel & Spa in Co. Clare conceals within its walls an eighteenth century mansion, a late medieval castle, and a formidable history of four and a half centuries embracing clans and warfare, landlords and tenants, poets, dreamers and entrepreneurs. 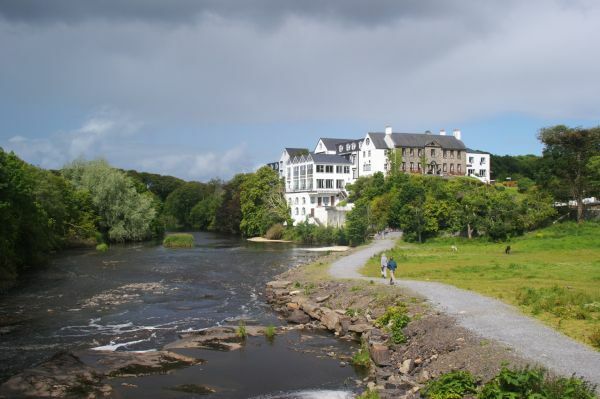 The Falls Hotel & Spa is located in the town of Ennistymon, yet it is surrounded by 50 acres of grounds and has wonderful riverside and woodland walks around the property. At the heart of the Wild Atlantic Way, the hotel is perfectly located to soak up all the wild natural attractions from Loop Head to The Burren & The Cliffs of Moher Geopark, and everything in between. The hotel facilities include 140 bedrooms , 9 self catering apartments and one large self-catering cottage. 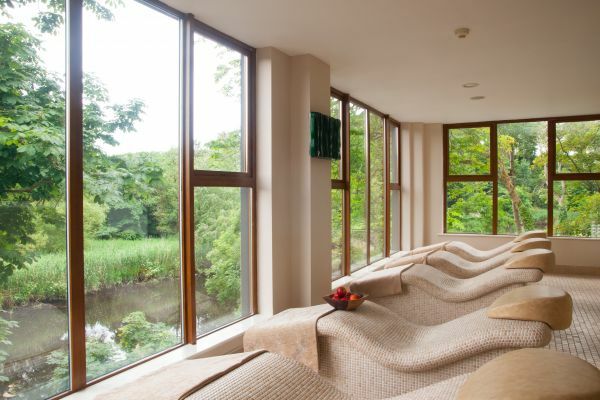 The award winning luxurious River Spa is a haven within the Aqua & Fitness Club offering 12 treatment rooms including a Thermal Suite, Relaxation Room, Hydrobath and Rasul Mud Treatment Room. The Club itself has a 20-meter deck level swimming pool, Jacuzzi, steam room, hydro therapy pool, children's pool, a sauna and outdoor hot tub overlooking the River Inagh and a large gymnasium - everything for the perfect breakaway! 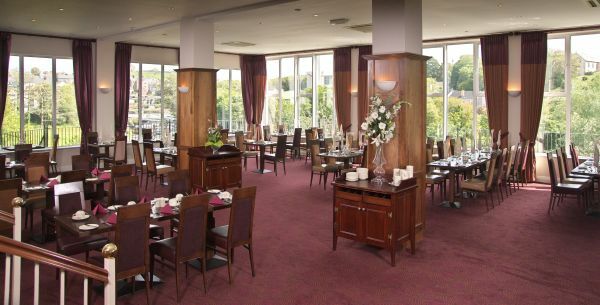 This Clare hotel is perfectly located for exploring all the sites and activities that County Clare has to offer. All the attractions are only a short drive from the hotel. Some of these attractions include the Aillwee Caves, Cliffs of Moher, Burren Region and Doolin Cave, making The Falls Hotel and Spa ideal for your hotel break in Clare. One of the finest golf courses in the country, Lahinch Golf Course is located just 3km from the hotel. Doolin is approximately 15 minutes drive from the hotel and it is from here that you can take a Cruise to the Cliffs of Moher and to the Aran Islands on a day trip. Fishing is available on the grounds of the hotel plus sea angling is available close by. 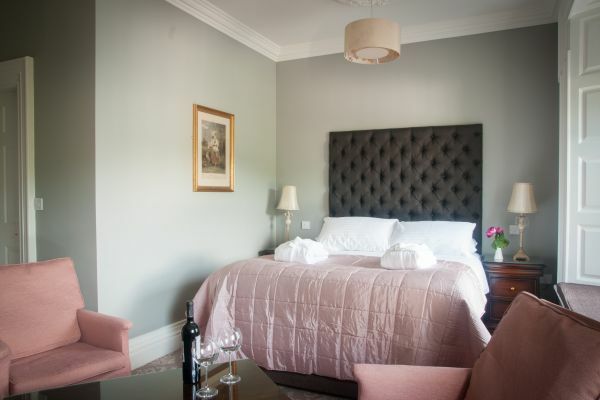 The hotel is privately owned and managed by the McCarthy Family and you will always receive a warm and friendly welcome when staying in the Falls Hotel & Spa. During your stay enjoy leisurely walks on the grounds of the hotel, a relaxing swim in the pool or pamper yourself in amazing River Spa. 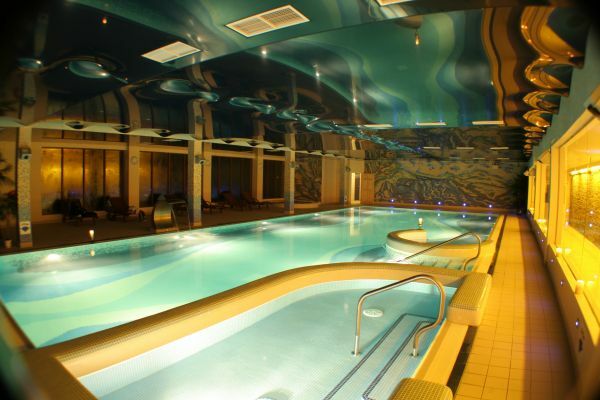 Guests have full use of our Aqua & Leisure Club, and enjoy a 15% discount on treatments in our River Spa! Ennistymon is approximately 25km from Ennis in North Clare. It is along the Wild Atlantic Way, and an ideal base to explore Clare’s coastline from Loop Head to the Cliffs of Moher. It is located at the edge of The Cliffs of Moher and Burren Geopark, with so many natural and historic attractions along the way. 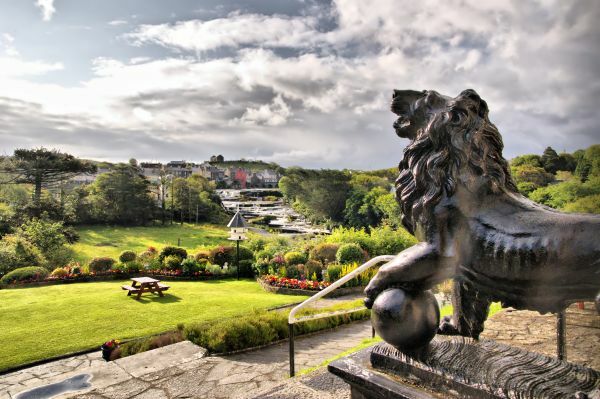 The town of Ennistymon is a quaint market town with many lovely shops, pubs and eateries just a short stroll away. The hotel facilities include 140 bedrooms , 9 self catering apartments and one large self-catering cottage. From Galway: Take the N18 going South. AT Kilcolgan, approximately 15km from Galway, turn right and follow the signs to Ennistymon; its approximately 40km from the turn-off at Kilcolgan. From Limerick and Shannon Airport: Take the N18 North towards Ennis. Take N85 through the Ennistymon exit from the dual carriageway and follow signs to Ennistymon for approximately 20 miles. Once in Ennistymon take second turn left.